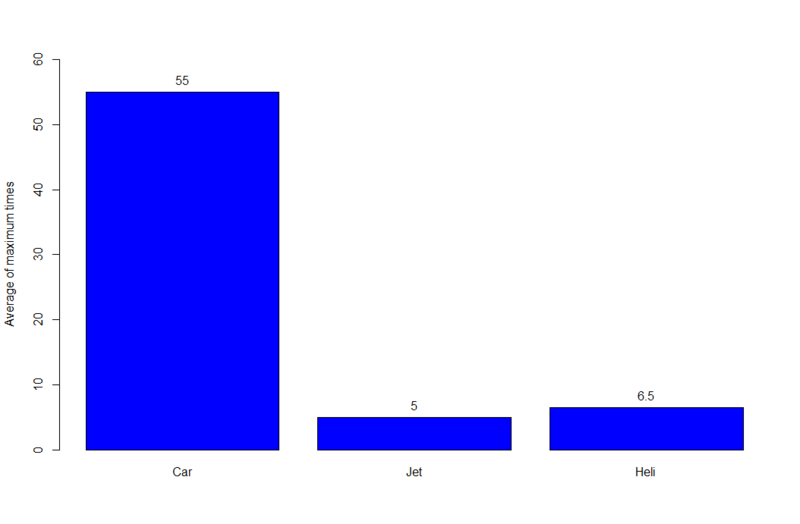 In Tableau, I want to be able to plot the average of the maximum times for each `Destination` column, for each type of transport. However, this won't allow me plot the data in one chart on Tableau. How can I achieve the chart above? Right click on your datasource from menu select duplicate and pivot and since your initial question is answered can you please take a sec to mark my reply as CORRECT to close Thread to help others who will be in same boat as you were.